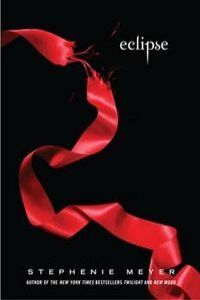 Eclipse is the third book in The Twilight Saga (Twilight , New Moon ). This book continues with Bella and the Edward’s love affair. Eclipse finally reveals Jacob’s love for Bella. Like the other books Bella gets into trouble and the vampires and werewolves try to keep her out of trouble. This book is an entertaining read like the other Twilight Saga books. The book is meant for a younger audience so the plot is very easy to guess what happens next. Overall the book is a fun read. I’m ready to be done with this series and move on to a new book without a mushy love story.